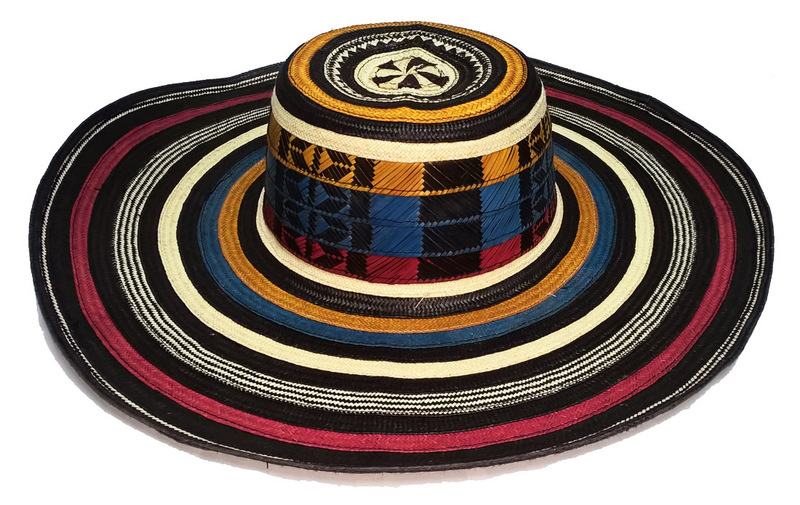 Vueltiao Colombian Hat handmade with colored caña flecha straw. Combination of 15 to 17 pairs of caña flecha straw strips, commonly known as Machinbreado or Machito. One standard size. Brim diameter 40cm aprox. View large picture.